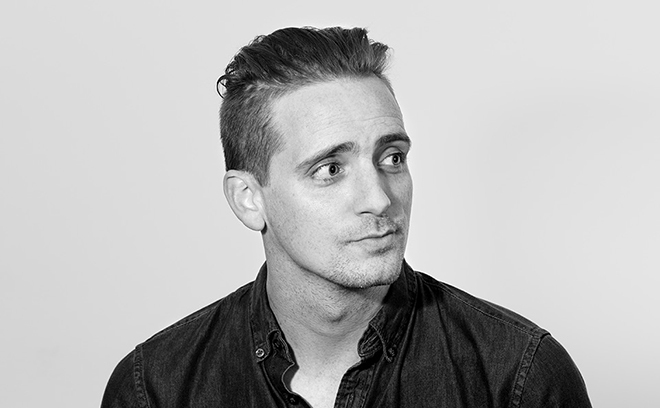 John Likens is a director and motion designer based in New York City. Likens has designed and directed title sequences for the films Collaterial Beauty (2016) and Deadpool 2 (2018) and the TV series The Night Of (2016), The Exorcist (2016), Godless (2017), Taboo (2017), and El Chapo (2017). He also art directed the feature length documentary Blood Road (2017) for Red Bull and has designed and animated user interfaces and holographic designs in Iron Man 3 (2013), Robocop (2014), and Transformers: Age of Extinction (2014). His work on Blood Road won an Emmy Award in the Outstanding Graphic Design and Art Direction category and in 2018 his work on Godless earned a special jury award at SXSW for Excellence in Title Design. Likens grew up in Marion, Iowa, and after earning a BA in graphic design from the College of Design at Iowa State University, he moved to New York City where he worked with studios including The Mill, Framestore, Perception, and Gretel. He is currently creative director at Method Studios.